Just about every researcher deals with the problem of finding an old town that has long-since disappeared from the map. Or, you have a known location that is not now in the same county that it was 100 or 200 years ago. AniMap has solutions to these problems. This program will display over 2,300 maps to show the changing county boundaries for each of the 48 adjacent United States for every year since colonial times. The earliest map shows Virginia boundaries in 1617. Other states and territories begin with the earliest boundaries established. AniMap includes all years in which there were boundary changes, not just the census years. Maps may be viewed individually, or the program can set them in motion so you can view the boundary changes in a movie like mode. Maps showing the full U.S. are also included showing all the changes in state and territorial boundaries from 1776 to the present. Each map includes a listing of the changes from the previous map making it simple to keep track of parent counties. There are four speed adjustments in the “run” mode as well as being able to advance by single frames or select a year and skip directly to it. 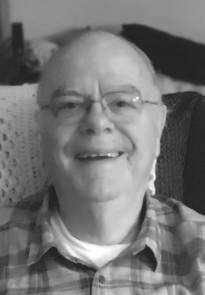 I was born Alton Henry WAITS, Jr., on 26 December 1940, in Ainsworth, Brown County, Nebraska. My father died in 1941 and my mother married Wyatt Elmer SISSELL in 1944. In 1948, Wyatt adopted by twin sister, Judy, and I. Wyatt was a career Air Force serviceman. I have lived in Nebraska, California, Washington, Okinawa and Minnesota. I am a die hard Nebraska Cornhuskers football fan. I graduated as an Air Force Navigator on 5 April 1961, and married Eleanor Lucille KRUMM, on 9 April 1961. I was a B52 Navigator for 5 years and went to Air Force Pilot training in 1966. I completed Pilot Training in June 1967 and was stationed at Castle Air Force Base, Merced, California. I was given a medical discharge from the Air Force on 28 February1968. I studied Computer Science at Chico State University and started work with the State of California in June 1973, as a Computer Analyst. I began my quest for Family History in 1977, researching my German heritage. I have volunteered at the Sacramento Family Search Library for 40 years. I served a mission, for the Church of Jesus Christ of Latter-day Saints, from October 2014 to March 2016 at the Family History Library in Salt Lake City. I served on the International Floor, specializing in Germans from Russia research and German as a country. I have been teaching Basic Computer skills, the Family History Guide, AniMap and other genealogical related topics, since 1984. I have four children, 12 grandchildren and 8 great-grandchildren. Special benefit for SGGS members only. Presenters at SGGS regular meetings grant SGGS permission to post their handouts and a video of their presentations for a 30 day period afterwards. These are only available to members who login to the members-only section of our website. This is a major benefit for SGGS members! Not a member? You can join SGGS online or by mail. At 11 am: The Study Group workshop begins. Bring to it your questions, problems, brickwalls, discoveries, successes and failures to discuss with the group and local experts. Often, the featured speaker will also be present to participate. Feel free to bring your brown bag lunch to eat prior to the 1 p.m. lecture. At 1 pm: The main program begins and all other activities end. After the meeting adjourns and if the speaker's travel departure time permits, you may be talk to the speaker or speakers in person by coming to the front of the room. If there is sufficient time and volunteers available, merchandise sales will reopen until 3 pm. 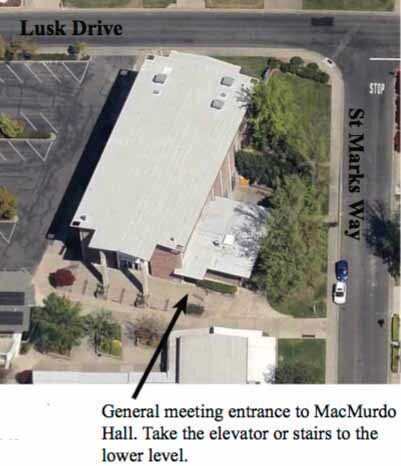 Both meetings take place in MacMurdo Hall at St. Mark's United Methodist Church on Lusk Drive at St. Marks Way, east of the Country Club Plaza Shopping Center (2391 Saint Marks Way, Sacramento). MacMurdo Hall is on the basement level. An elevator is available. Parking is free. Park in either the church's lot or along the street. Guests are welcome and admission is free.